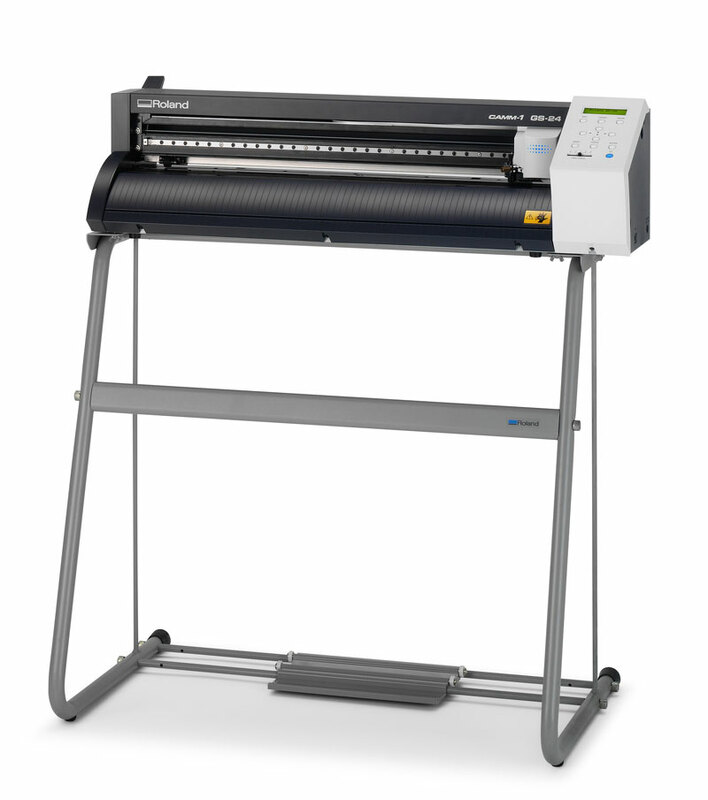 The Roland CAMM-1 GS-24 desktop cutter delivers maximum precision and efficiency. With a completely redesigned cutting carriage and blade holder, the GS-24 offers greater stability and a 40% increase in downforce (from 250g to 350g). Translation: you can cut like never before—even on thick, dense substrates. 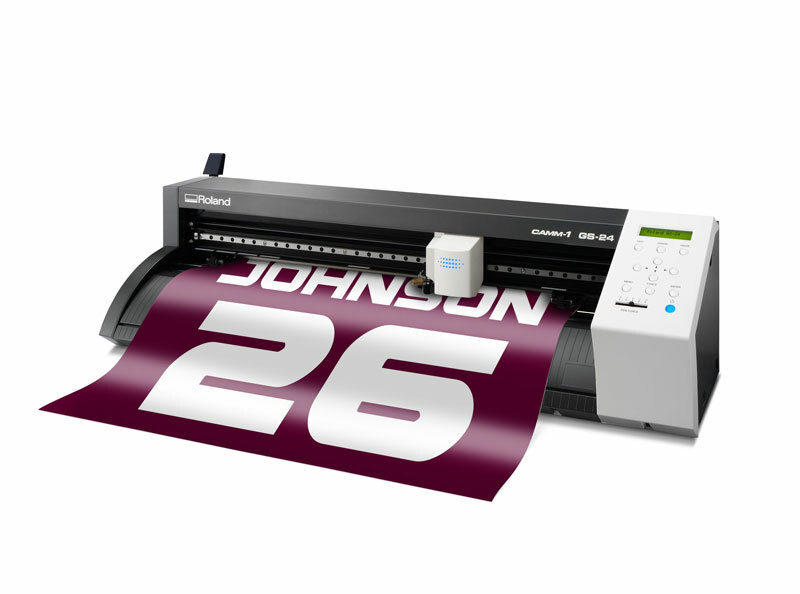 Produce vehicle graphics, signs & decals, decorated apparel, specialty graphics, and much more. 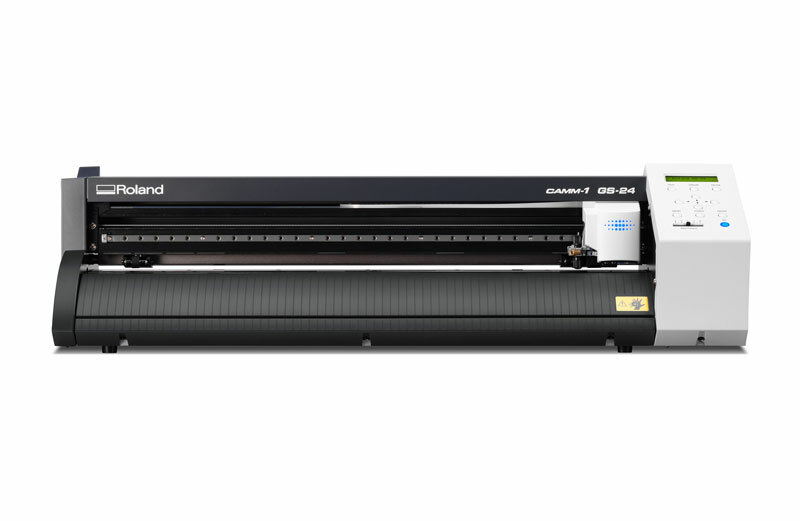 With cutting edge capabilities and unmatched reliability, backed by a comprehensive warranty, the GS-24 is Roland’s best desktop cutter ever. Efficiently cuts up to 500mm per second, providing maximum productivity. Roland CutStudio™ (included) allows you to cut TrueType® fonts without the need for outlining and vectorisation tool generates cut lines from any JPEG or Bitmap image. Backed by the industry’s most comprehensive service & support.